We understand that vacation travel is an investment and we want you to be able to relax in all stages of your vacation, even if the unexpected happens. Now that your plans are set, rest assured with Trip Preserver™. 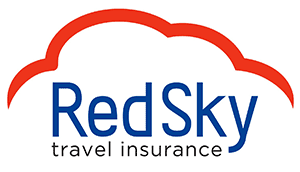 We’ve partnered with Red Sky Travel Insurance to provide you with affordable and comprehensive options to protect your vacation investment. We offer Sun Trip Preserver to protect the value of your hotel stay and other trip related expenses. Please contact the hotel you are staying at for a quote.